“For me, the night is a wonderland that still has all the ancient mysteries in it: Comforting on the one hand, but scary and unpredictable on the other”. Lara, congratulations on winning our recent ‘Night Life’ theme, with a stunning image from your series Exposed Landscapes. Can you tell us a little bit about that series, and the winning image in particular? Why night-time? Sure! 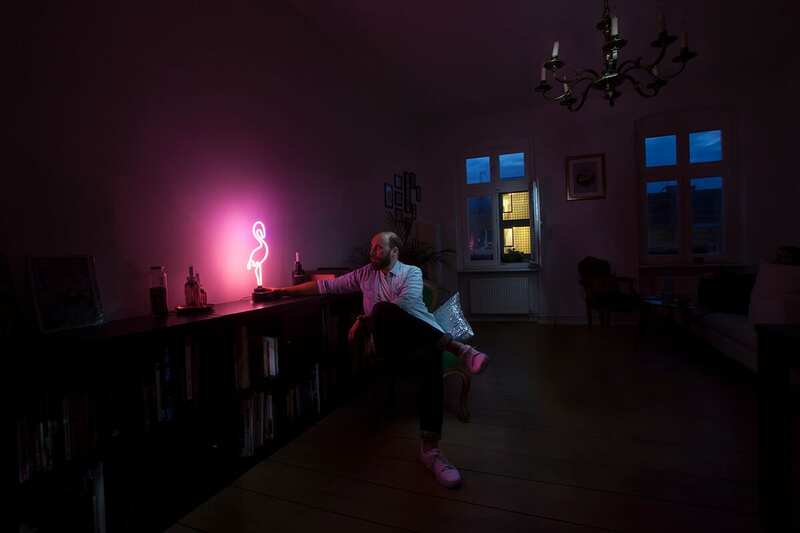 For this project I visited strangers from Berlin at night and tried to connect with them on a human level. For me, the night is a wonderland that still has all the ancient mysteries in it: Comforting like a well-known cave on the one hand, but scary and unpredictable on the other. We leave a bit of our reality-based world behind when we enter the night. That’s what I like about it. 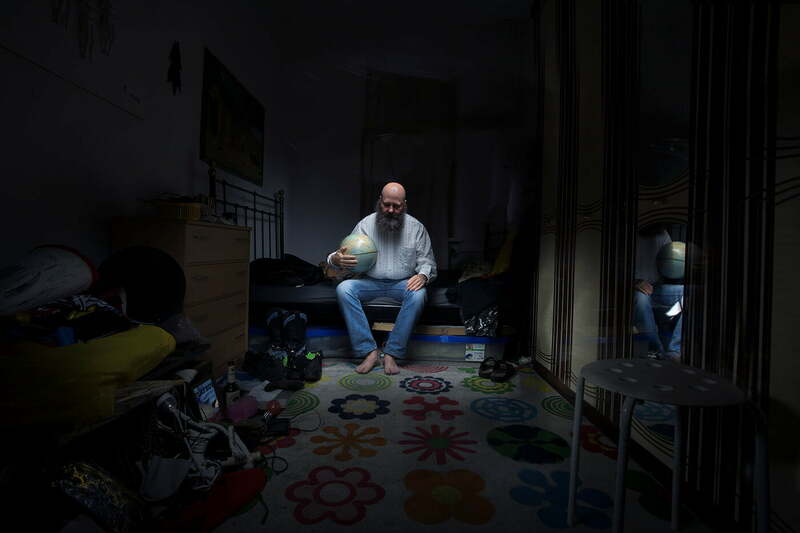 The image “Birth” was taken in the house of a lovely couple in the suburbs of Berlin. They started to get prepared for the birth of their first child and were really excited. 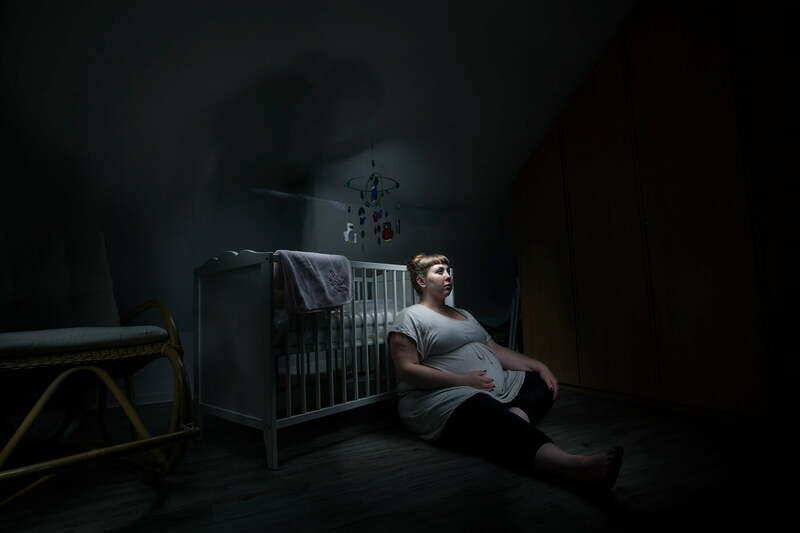 I almost deleted the picture that won the competition, because I did a mistake in lighting the scene: I stood to close to the wall and you can see my shadow, hanging over the crib. A month after the shoot, I looked at the images again and felt a deep connection with the picture: Of course, the two were excited and really well prepared, but the time to come would also be difficult and they would not have the total control over it. The night is the time to let those feelings out and deal with them. 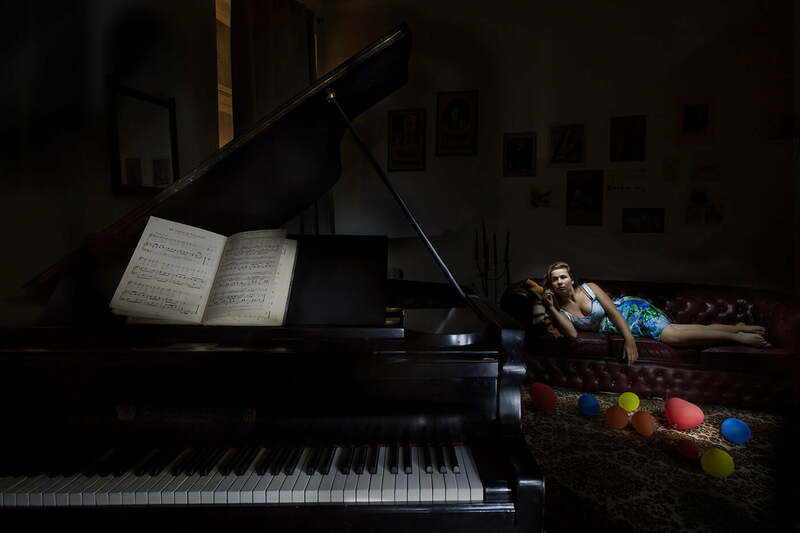 Our judge, Marion Tandé described the image as being “unsettling and uncomfortable for the viewer”. Are those words that resonate with you? Was that a feeling you wanted to create? I wanted to create something, that is dimensional in storytelling, so it can reflect us like a mirror. 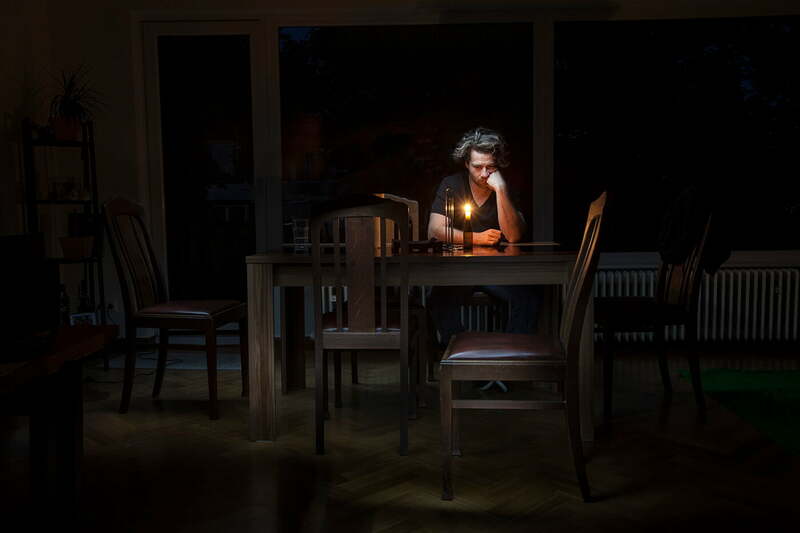 Often people connect the objects that are lit in the image really differently. So, I didn’t want to create a feeling, I wanted to create a room where we can ask ourselves the important questions: Am I really happy? Is that how I wanted life to be? Do I really like the people around me? In long-time exposure there is no way to hold an expression like a smile for such a long time, so for me the faces are pure, they’re not playing a role or hiding behind a mask. That can make it uncomfortable, plus the everlasting feeling that the night is haunting us. In order to create this room, we need the stillness to listen to us. Technically speaking, the images are sumptuous in their detail, and meticulously lit. Can you tell us a bit about how you went about capturing them, and the amount of experimentation that was required? I like it when the light tells the story and is perfected and on point. So normally I would take a lot of gear, assistants, and so on. But for this series the technical things could not be in the way in order to really get close to the people I wanted to photograph. The long-time exposure allowed me to travel via subway with just a lamp, a tripod and my camera. I practiced for weeks at home and choreographed every step until I knew what to lit for how long. The goal was to be so sure about the technique, that I didn’t need to think about it during the shoots and concentrate everything on the person in front of me. It is a slow process; I often take no more than ten pictures in one evening and between the shots there is a lot of time where we just sit in the dark and talk. Talk us through a couple of your favourite images – the scenes and the characters. I photographed around 80 people in the last three years and not one of them was boring, so it’s a hard pick. I remember an actress who started talking to her hand puppets and had this really awesome flat. I photographed her sitting under her loft-bed and we discussed the art culture in Berlin, that is slowly fading because of the rising living expenses. Another woman I photographed – I think she was a biologist – made these big head pieces in her free time and asked me if she could put one on. First, I wasn’t convinced but it was such a great contrast with everything else in the room that it became on of my favourite pictures. You describe the series as helping you “get your Berlin back”, connecting with strangers and finding a shared humanity in a city that can seem faceless. I suppose the series reminds us that everyone has their story, and everyone has their struggles. Will you continue seeking out these stories and building the series? For me the feeling of seeing the faceless mass on the streets as a potpourri of interesting and unique people is something that this project gave me. So, I think it will end this summer, after I close a few gaps that are missing: There are no old people in the series, but they are a big part of this city. And also, there is no picture that represent the homeless people that are living under the countless bridges. You work with film as well as photography. Why both? And is there a cross-over between the two? I love doing both, because in film I need a big team for even the smallest projects, everything takes a long time and really good planning, but it can get frustrating. In photography I am really independent, can take a lot of risks and work freely, but it can get lonely working like that. Otherwise the two are really similar: It’s all about telling great visual stories! For me they inspire each other. I learned lightning in film, but the photography taught me that sometimes one moment is all it takes. And finally Lara, what is next for you? I experiment with a lot of ideas in the moment and it always takes me a long time to commit to a project. Right now, I am working on a project that portrays nursing mothers and shows the happy moments as well as the difficult ones. I like to photograph close to home, because there are already so many wonders right in front of me.